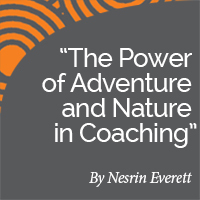 This coaching model will take a client on a journey to move from a survival to a thriving mode, from a vicious to a virtuous circle, when facing transitions and challenging life situations. The model is about self-empowerment. 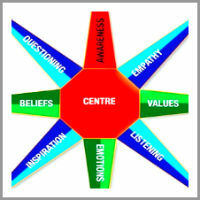 It is a simple and inspiring model directed at bringing positive change to a client’s life. Today’s lives are full of transitions and mastering them proactively is the key to a happy, self-directed life. 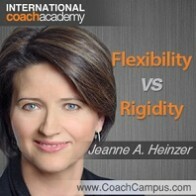 The client may get stuck in a ‘survival mode’ when facing a challenge or going through transition. He or she may feel paralysed, disempowered and helpless to move on, solve the issues and create a better life. Working with a client will focus on getting the client unstuck by putting him in touch with what it is that makes him tick – his core values. Those values serve as the primary motivating factor. Based on the core values a balanced life vision will be developed allowing the client to make strong decisions and take appropriate action in all important life areas. 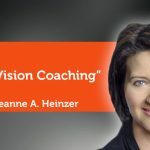 Being aligned with one’s values and vision puts the client back into the driver’s seat, keeps him focused and saves him time and energy. A new feeling of satisfaction and fulfillment will be the reward for moving up the ladder and leaving the vicious circle. 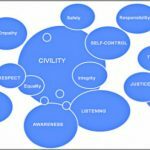 Working through this process will enable the coachee to move from challenge to opportunity and to experience clarity, belonging, trust and a feeling of peace. Peace doesn’t mean that the client isn’t active. This model is dynamic in the sense that at times the client will have to move down the ladder to redefine his values, make strong decisions and take appropriate action based on changing circumstances. 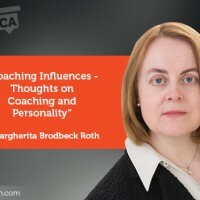 To work with the model, the coach may use powerful coaching tools to help the clients identify their core values. 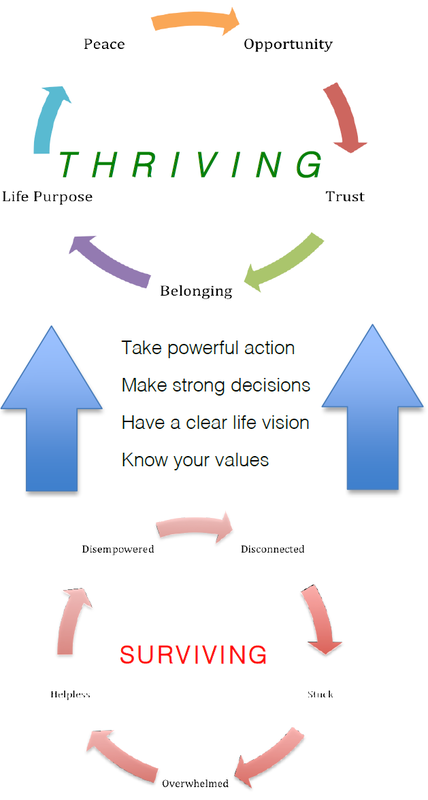 The coach may wish to refer to the ‘Wheel of Life’ model to identify current satisfaction and happiness and to define a life vision that addresses all life areas including the work dimension. Using this tool enables the client to understand the importance of looking after his whole life and realising that the career dimension represents only one part of a person’s life. This may result in an important shift for the client.